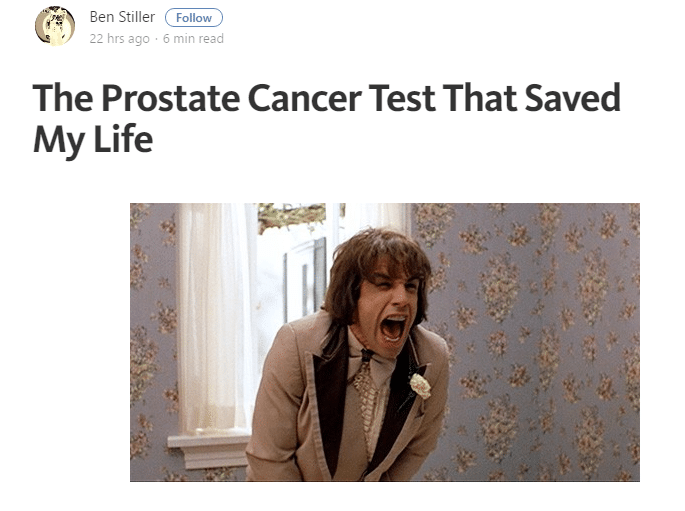 Comedic actor Ben Stiller clearly had the best of intentions when he decided to write about his experience with prostate cancer and urge men to get a prostate specific antigen (PSA) test starting at the age of 40 – advice which contradicts the guidelines of all major professional organizations. The criticism of the test is that depending on how they interpret the data, doctors can send patients for further tests like the MRI and the more invasive biopsy, when not needed. Physicians can find low-risk cancers that are not life threatening, especially to older patients. In some cases, men with this type of cancer get “over-treatment” like radiation or surgery, resulting in side effects such as impotence or incontinence. That’s important context that’s often missing from similar celebrity health stories — and he also tells men to have a discussion with their doctors about the test. That’s certainly the best way for men to sort through their options and make an informed choice. He can’t say that with any certainty. The facts are these: Prostate cancers vary in their aggressiveness, and some very aggressive cancers will prove fatal despite early detection and treatment like Stiller received, whereas the majority grow slowly and might never pose a problem to the patient. Stiller says his cancer had a Gleason Score of 7, but doesn’t offer full details about his case that would allow experts to assess the likelihood that he’d benefit from prostate removal. Even with those details, it would be impossible to know for certain whether his cancer would have spread or not. For that reason, no one–-including a celebrity with greater-than-normal access to top-notch healthcare–can say whether the test saved his life, or merely detected a cancer that could have been monitored and might never have bothered him. HealthNewsReview.org contributor Douglas Campos-Outcalt, MD, agreed that the evidence cuts against Stiller. When someone says “Taking the PSA test saved my life,” they have over a 95% chance of being wrong. There is a spectrum of aggressiveness in prostate cancers. The vast majority detected by screening are not aggressive and screening does more harm than good in these men. The most aggressive forms are not helped (usually) by screening because they are too aggressive and are not asymptomatic long enough to be detected by screening. The moderately aggressive tumors are the only ones that can benefit from screening and the unusual man who has one of these detected by screening may have their life “saved,” but this is offset by the number killed by the treatments and the large number who are left impotent and incontinent. Here’s an evidence-based infographic from the Harding Center for Risk Literacy that explains the numbers – note that for every thousand men screened, up to 160 false positive tests will occur and up to 20 men will be treated unnecessarily (risking harm from unneeded surgery) with no clear mortality benefit. Although Stiller dismisses those harms – incontinence, impotence, among others — as being “in the purview of the doctor treating the patient” (whatever that means), the fact is that the treatments themselves can be deadly or cause serious disabling side effects. Even the biopsy resulting from a false-positive PSA can lead to serious infections requiring hospitalization and – rarely – death. In fact, the treatments can be so grueling that it’s possible they may increase other causes of death – canceling out any reduction in prostate cancer deaths. That’s why Prasad and others argue that overall mortality, and not prostate cancer mortality, should be the benchmark to assess benefits from cancer screening. Another problem with saying the PSA saved his life: He might still die from prostate cancer, in spite of being tested. Sadly – and I very much hope this is not the case – it’s possible that Stiller’s cancer is one of the aggressive ones that will recur despite early detection and treatment – meaning that Stiller’s declaration of having his life “saved” will turn out to be premature. This is a reality that needs to be acknowledged. Everyone needs to choose their words carefully when addressing a topic as deadly serious as cancer. How much traction is this getting? The Today Show, with its audience of millions, has already had Dr. Mehmet Oz on the show discussing the piece and its implications. 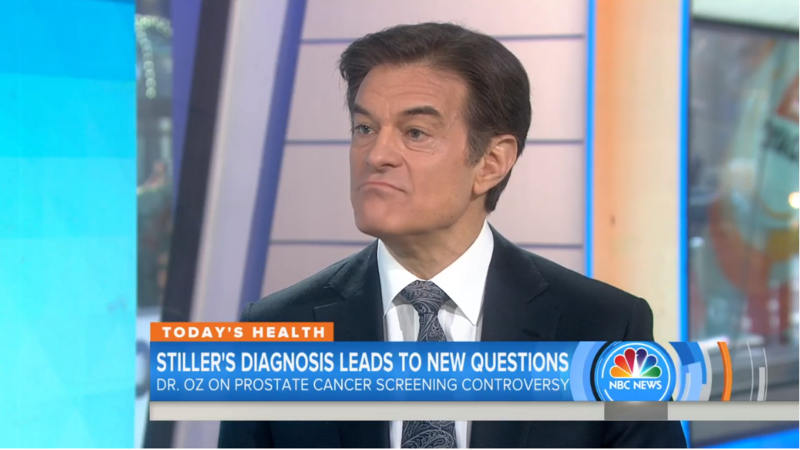 It was great to see the sometimes evidence-challenged Dr. Oz pouring some cold water on Stiller’s claims and citing U.S. Preventive Services Task Force data on the very modest benefits — and considerable harms — of PSA screening. Caulfield gives Stiller points for engaging the controversy around PSA testing and referring to the relevant policy statements. However, I’d note that Stiller’s thesis appears to reflect the views of his urologist, Dr. Edward Schaeffer, who’s helped promote fear-mongering messages about “skyrocketing” rates of prostate cancer due to reduced PSA testing. Those statements aren’t based on sound science as I pointed out in a post a few months ago. Skewed statistics can certainly stir up fear that would lead to blog posts about the need for more PSA testing. But such posts telling personal stories are no substitute for a comprehensive assessment of the evidence. The choice that was right for Stiller is not right for everyone. Note: Please see the comments section for additional commentary from Dr. Prasad that was edited from the post for length. The following comment is from Vinay Prasad, MD, MPH, whom I interviewed via email for the main post above. I edited these comments from the post to improve readability, but I think the point is worth sharing. Ben Stiller says “I was lucky enough to have a doctor who gave me what they call a “baseline” PSA test when I was about 46.” He notes this runs counter to the USPSTF and even the ACS. Ben Stiller says everyone over 40 should get a PSA, but why does he discriminate against 39 year olds? If you accept Ben Stiller’s logic, that we should do anything to find cancer early (with near total disregard for net effects, harms or overdiagnosis), why is 40 Ben Stiller’s cutoff? He criticizes the American Cancer Society for 50, and yet equally arbitrarily chooses 40. If Ben Stiller thinks a 40 year old should be offered a PSA, why not a 39 year old? Why not every man? Since Ben Stiller does not employ careful scientific reasoning to reach his position, I would argue that Ben Stiller is logically inconsistent. If he believes we should do everything possible to prevent advanced prostate cancer (and that seems his position), the test should be offered to any man of any age. Also, if Ben Stiller was to push his own thinking, he would argue that a prophylactic prostatectomy should be offered to any informed man. 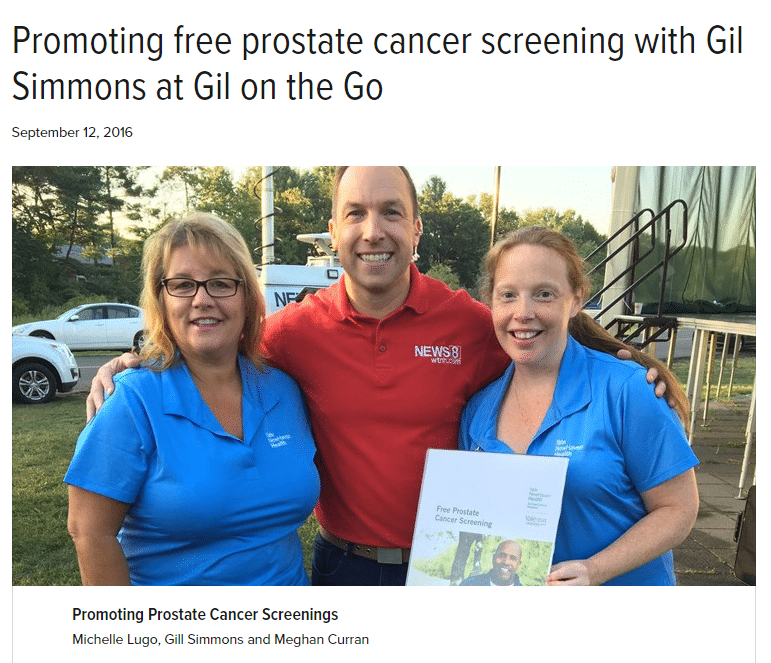 After all, PSA screening misses some prostate cancer– he conceeds that. Why should a healthy person not be allowed to remove their prostate beforehand? Since prostate cancer accounts for 2-3% of all deaths, the number needed to treat would be 33-50, and not that dissimilar from the most optimistic estimates of the PSA from the European randomized trial. Actually, Ben Stiller–since he thinks cutting out cancer early is the main priority and does not seriously weigh harms and overdiagnosis– should support the prophylactic removal of all un-essential organs, as any may become cancerous. The purpose of this thought experiment is to illustrate the absurdity with Ben Stiller’s position: a slight more aggressive, slightly less evidence based recommendation the ACS. He is surely entitled to his opinion, but unfortunately his celebrity status will give that opinion disproportionate influence. 1) Most PSAs are administered in a way that causes unnecessary and high levels of PSA false positives. If a man has ejaculated within about 36 hours prior to the PSA, it is invalid. If a man has had a vasectomy, then the wait is 7-10 days. Physicians frequently “forget” to remind men of this. 2) There is a growing body of evidence that biopsies may well be a contributing factor to prostate cancer deaths. Look up “needle tracking” or “needle trace tracking” and you will find that in biopsies, even those which failed to find cancer at all, a significant group of men have slow-growing cancer cells throughout, but the fast-growing variety along the scar from biopsies. And this is worsening because urologists go for as many “sticks” as possible, claiming that it is more accurate. I am several years into watchful waiting and suffer no symptoms or side effect. My PSA is still all over the map, but is just a common variety of false positive. The whole concept of unnecessarily screening and treating 19 men to catch one clinical case of prostate cancer of prostate cancer is bizarre, but prostate issues make up about 30% of the average urologist’s revenue stream. As my wife put the bottom line, “You can choose to have your heart attack playing volleyball, or have it shopping for Depends.” There is absolute NO evidence that all the screening, biopsies, and treatment in the world extends a man’s life by even one day. The unnecessary stress, both physical and psychological of overdiagnosis cancels out any conceivable benefit from treatment.. I disagree on this article. There is a greater prostate cancer incidence happening with younger men. It needs more aggressive treatment. I am one of the people. Sure the PSA didn’t save his life. But it out him and me on the right psth. I understand the temptation to use cases of over diagnosis to dismiss Ben Stiller’s comments. However, as someone who received more advanced PSA tests that led to the discovery of prostate cancer (Gleason Score 8), and the eventual removal of my prostate I applaud his comments. What people are forgetting is that sometimes the progression of the disease can be caught at just the right time. In my case, the nodule was on the backside of the prostate so the typical routine exam failed to detect it. Following surgery, I found out that I had one positive lymph node and seminal vesicle invasion. Had I waited any longer it would have most likely continued to spread. In my case I was able to undergo additional radiation and ADT therapy that has so far kept my PSA at less than .1. Based on the very latest research I even had adjuvant chemotherapy. Why? because I am 57 years old and want to enjoy my retirement in another 10 years. But, most importantly, I have a 10-year-old son I want to see grow up. I am glad that Ben Stiller shared his experience with others. I hope that all men make the appropriate decision in consultation with their doctor and their family. For some of us, the treatment can be just in time. I’m happy that you are satisfied with your decision. However, your individual case is not evidence. In hindsight, it may well be that you made the right choice to have the test. That’s great for you. Everyone has the right to make their own decisions. The problem is, you are not representative of the many other men who are harmed by the test. We can only get a complete picture of those harms when we look at all of the evidence — not individual cases. We also need to see outcomes from many thousands of men to determine whether the test leads to longer life. I hope you live for a very long time but the truth is, we don’t know what will happen. All major professional organizations who have looked at the evidence do not recommend routine screening because the balance of benefits and harms weighs against the test. The point you’ve missed in making this comment is that PSA screening has not been shown to make a difference to whether men like yourself will see their 10-year-old son grow up (or in my case 10-year-old daughter at the time). i.e. PSA screening makes no difference to the average lifetime of screened vs. unscreened men. That is not to say that serious treatments like prostatectomy won’t produce some overall survival benefit if the disease has progressed to the point of causing symptoms, just that doing serious treatments immediately on disease that is picked up only through screening confers zero additional overall survival benefit compared with acting only when symptoms occur. 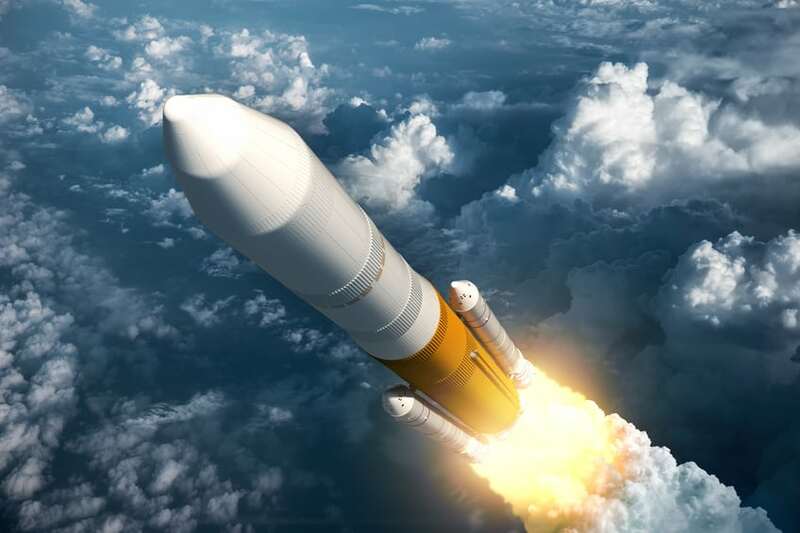 This zero additional overall survival benefit comes at considerable additional cost of course. Death from prostate cancer, overall, may be less likely than with other cancers, but are there not other morbidities? You’ve “got him” on the “saved his life” line, but how about other problems that prostate cancer can cause over the years? Sure, we’d like to spend less on diagnostic procedures, but every urologist knows cases where a guy less than 50 has had prostate cancer found early with PSA. Anyone that tells you (doctors included) that it doesn’t make that much difference if prostate cancer is caught before it has metastasized is misinformed or being disingenuous. “Every urologist knows cases” isn’t evidence. Neither is Ben Stiller’s story. That’s my point. For every Ben Stiller there are hundreds of other men who have sexual problems and incontinence related to treatment for a cancer that might never have caused them a problem. If you want to run those risks based on the exceedingly small chance that you might be the guy who is saved, that’s your business. But even the professional association of urologists says the tests shouldn’t be routinely given. That’s because the test isn’t very good at distinguishing which cancers grow slow and which ones are likely to metastasize. Don’t forget that the morbidities caused by treatment are quite serious and common, maybe not quite as serious as the morbidities of prostate cancer but far more common. Of course, that’s in the context of treatment that commonly arises from PSA screening. Great article. Dr. Prasad’s reference to Ben Stiller’s “strong faith” that the PSA test “saved his life” says it all. The religious metaphors in this, and every other anecdotal life saving medical experience are striking. And … as when attempting to argue religion with a zealot, any appeal to scientific facts or logic or reason will get you nowhere. Nearly everyone I have ever met who’s had a cancer operation has professed a blind “belief” that the procedure “saved” their life. They all worship the healing powers of their doctors hands and sing the praises of the screening test that led them down the path to salvation. But that’s never enough … because afterwards “spreading the word” always seems to become a critically necessary part of their now born again lives — so that others may be similarly enlightened and delivered from the evil of an untimely early death. Glory Hallelujah! Shouldn’t you have been eating fruits and vegetables anyway? Surely you don’t need PSA screening to “enable” you to eat fruits and vegetables. There appear to be at least three obvious flaws in the logic presented here. Regarding the ‘evidence based’ infographic. It appears to cover the ages from 50 to 61. Isn’t that some rather biased cherry picking going on? Surely those who have no testing face a greater threat from age 62-90 (and onwards). Surely some of those who found (and treated) the cancer are going to reap benefits onward from age 62. The second logic flaw: testing does not have to automatically lead to the disadvantages of over-treatment and unneeded procedures. It’s just a test. It gives one information. Information is valuable. Perhaps it causes one to get their estate planning in order. Perhaps it causes one to quit work and travel the world, or live each moment to the fullest. Perhaps it helps one’s children to know their genetic history, for future treatments. Perhaps it cause one to explore alternatives and possible non-invasive treatments. And yes, it some cases, the test might hit at the right time with the right type of cancer and save a life. Finally, in the comments section, the author repeats the idea that individual cases are not evidence. That’s playing with language in such a way to state a falsehood. Individual cases are indeed evidence. Each individual case is a data point, and cannot be ignored, or treated as ‘not evidence.’ Come on now, please be honest and clear. An individual case may not be persuasive for action, it may be an exception, it may be misleading, it may be a lot of things. But it clearly meets the standard for what we know as evidence. The fact that one person wins the lottery is evidence that the lottery can be one, no matter how poor the odds. The infographic says ages 50+. Please explain where you are getting the idea that this covers only ages 50 to 61. Information is not always valuable. You do not need a test to live each day to the fullest or get your estate in order. Being provided ambiguous information — I might have cancer, it might or might not be aggressive, the treatments might or might not save my life and might or might not lead to disabling side effects — can cause harm. Lastly, we are awash in anecdotes about patients that are treated as if they are conclusive evidence. And those anecdotes often fly in the face of what real evidence from large studies shows. We need to push back against this. Perhaps it would be more accurate to say that “anecdotes are not data.” The sentiment is the same. Reading the comment section here, I am reminded of the greatest challenge we face when communicating the results of large studies that influence screening policies: personal experience always trumps data in the human brain. We can show the most rigorous data pile to someone but, if its conclusion is counter-intuitive, that person will still say, “But it worked for me.” Therein lies the real challenge of increasing scientific literacy: getting people to let go of personal experience. Re: anecdotes — See if this isn’t true in your own experience. I and my family rarely visit a doctor — for many reasons — we’re healthy normal people — I believe that our for-profit capitalistic health care system has vastly oversold the benefits of modern medicine — I am familiar with the drug industry the lack of transparency with respect to the effectiveness of Rx drugs (i.e. you’ll hear every possible side effect in an ad but info on efficacy is NEVER presented) — I can go on and on … Anyway we are not big “users” of our health insurance. On the other hand we know plenty of people who are. And I go back again to the similarities between religion and medicine. These people go to doctors for the laying on of hands, for screening tests and the reassurance and the good feelings that come from being told they are “healthy” and OK. Its like confession and absolution. With their Rx slips their penance and their pills daily communion. The equivalent rituals are all there — from listening to your heart, bp measurements etc. … all the way up to the more confirming sacraments like drawing blood and biopsies. Each and every procedure contributing to and reinforcing “belief.” With the ultimate sacrament … the Holy Orders … being an operation … allowing a “high priest” to actually cut into your body — just imagine the level of blind trust that must entail the first time it happens — and from there and ever after you are elevated to the highest level of medical consciousness, a point where you can never turn back — (please note the million-man army of “PSA testing saved my life” misery loves company unnecessary radical prostatectomy “survivors” the system has created to continue to perpetuate this fiasco — religiously bearing their suffering and attempting to “convert” others with their proselytizing). In talking to many these confirmed believers over the years I’ve made an interesting observation: “the more operations they’ve had — the more operations they’ll end up having in the future.” There’s something about it all that makes them want to keep going back again and again for things as varied and disconnected as questionable orthopedic surgeries to nasal polyps to toenail removals … you name it — medical conditions just seem to find their way to these same people over and over. They’ve all been to emergency rooms multiple times in their lives and can’t wait for their next “cancer preventing” colonoscopy. They are back at their doctors often and continuously — asking if Rx X,Y,or Z is “right for them (and it’s why the average adult in this country is on 12 (mostly useless) prescription drugs) . I learned a long time ago never to waste my time trying to logically discuss medical science with someone who’s had something like bypass surgery — you don’t let someone do that to you and ever question anything medical again. Most are ready to jump off a roof if someone with an m.d. after their name told them they could fly — and our for profit “system” milks these people for all their worth (and its played huge part in our skyrocketing health care costs). These people thrive on the anecdotes of others and live to add more of their personal stories to the pile – you are never going to reach them with evidence. As an oncologist, I strongly favor PSA screening. The reason we have such high survival from prostate cancer in the United States is due to PSA screening. In Cuba, there is no prostate cancer screening, and mortality rate is 85%. Is that what the USPSTF wants? We have had a problem in the US. It is not over-screening, it WAS overtreatment. However, with a growing body of evidence, more men diagnosed with prostate cancer in the US are undergoing active surveillance, rather than surgery or radiation. As an oncologist, you should know that there is no way to know for certain why prostate cancer rates are declining based on current evidence. There is no data that would allow one to draw such cause and effect conclusions. And plenty of reason to believe that other factors are at play. Claiming that screening is responsible for differences in US and Cuban cancer rates is quite a simplistic analysis. There are plenty of other differences between the countries, and no way to know which ones might affect cancer rates. “The implication of screening males to detect slow, benign, non-progressive prostatic carcinoma is clear. A test which was epidemiologically perfect (100% specificity, 100% sensitivity) would not, on these grounds alone, be acceptable for screening apparently normal males. The test would also be required to separate males with progressive disease (candidates for treatment) from those with indolent disease (not candidates for treatment).” PSA testing can’t do that — neither can all the dangerous follow-up biopsies! He goes on to say: ” In prostatic cancer, only about l/400 patients will show progressive disease. The use of PSA screening could only increase the percent of patients being treated needlessly. ” Does Matt, oncologist, ever provide that statistical information to his potential “active surveillance” patients? I doubt it. They then might logically decide to go home and never come back and just skip all those repeat biopsies and blood tests and doctor visits. And even more men might decide to just skip PSA screening in the first place! And as for unnecessarily telling someone they have “CANCER” and the for-profit medical industrial complex unnecessarily creating millions of new pseudo cancer patients for the rest of their lives via the newly invented term “active surveillance” he had this to say: “Asymptomatic men are urged to undergo a screening test for the early detection of a disease that may well be treated with ‘watchful waiting. ‘ Watchful waiting will result in a large population of men (up to 15,000,000 in the U S alone) (8) held captive by urologists.” … and I imagine oncologists along with the entire for-profit medical industrial complex just loves that idea! I must say I think it’s appalling that professionals in this area don’t appear to know what screening biasses are. We put our well-being in their hands and this is the standard of understanding we get? Additionally — the most recent pc study news a few weeks ago reviewed by Healthnewsreview here: https://www.healthnewsreview.org/2016/09/overall-impressive-news-media-coverage-nejm-study-treating-vs-not-treating-prostate-cancer/ showed a 2X higher (but still very low) rate of metastatic pc in the active surveillance arm compared to surgery and radiation. I contend that may be due to the repeat biopsies they have been subjected to. If all that isn’t enough, you should google and read the following from a New York Times article titled: “Old Ideas Spur New Approaches in Cancer Fight.” Some excerpts: “Over and over, doctors and patients tell stories of injuries that seemed to spur a cancer. A blow to the breast, an operation, and suddenly cancer takes off. It may mean nothing, just an effort to explain the seemingly inexplicable. “… mathematical modeling indicates that surgery at the site of a dormant tumor can spur it to grow.” “if wounding or inflammation has an effect, it happens only under unusual conditions and if tiny cancers are already present at the site of the wound.” “Most likely, if there is an effect, it happens only if tiny cancers are already present at the site of the injury. ” “It made her ask about biopsies … “Frankly, this has not been studied extensively,” Dr. Polyak said. “People don’t like to bring it up.”” With prostate biopsies THEY ARE STICKING NEEDLES INTO KNOWN CANCERS. The biopsy/inflammation connection is all a new idea far from being accepted by the most of mainstream medical practice. For pc I think it is a risk — not a big risk — but a risk I would avoid. I think its important to be clear here — I am not saying that there is a significant risk of biopsies causing metastasis — only that there is a real risk — and that in the case of prostate cancer, it is a risk not worth taking for many reasons — not the least of which is the fact that in the first place attempting to identify changes in a cancer with a 1/400 of progression with as blunt an analysis method as biopsy is likely impossible. For example I know someone who in their first 12 core biopsy had one core show a minor amount of Gleason 7 grade cancer — 3 other cores were graded Gleason 6. That one 7 core could have very easily been missed on first biopsy — in which case this guy on active surveillance goes back for a repeat biopsy and it shows up at that time — in which case it is wrongly interpreted as “progression” and its off to the operating room. On the other hand I know someone who had 3 of 12 cores of Gleason 6 found on his first biopsy. He started a diet and vitamin program to improve his health and beat cancer. His next repeat biopsy had found no cancer and he declared himself “cured.” Ridiculous! “These findings suggest that grade may be established early in tumor pathogenesis,” conclude the authors. So this science here indicates that Ben Stiller’s Gleason 7 cancer may have remained a Gleason 7 cancer and never progressed. So in active surveillance by biopsy — what exactly are doctors looking for? Grade progression that is uncommon in a cancer that rarely progresses? I contend that that is simply impossible. And just where is the science behind that? Believe me — I’ve looked hard to find it — there is NONE — ZERO. 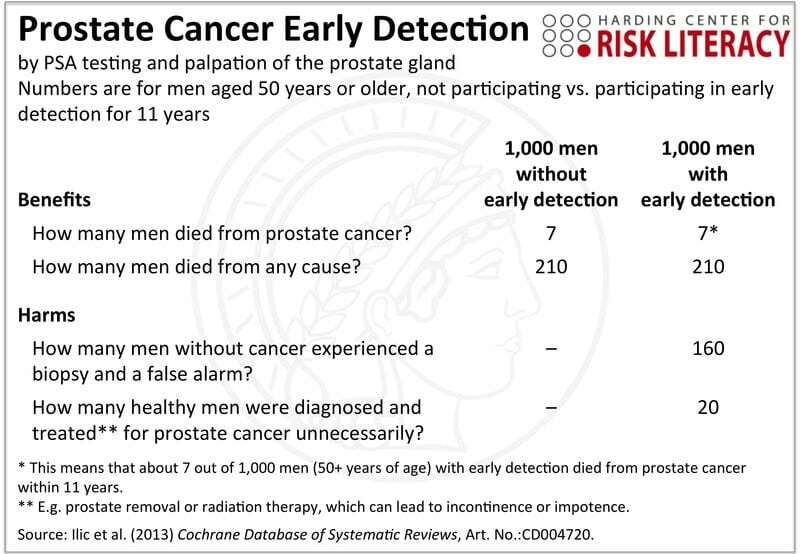 Men on active surveillance should ask their doctors for the evidence that any number of repeat prostate biopsies is going to conclusively identify the point in time when any particular cancer is in danger of progressing and NOW is the time to operate. Just where is that data? Where is that study? What exactly is that tipping point? There is a much greater risk of infection from the procedure (as high as 5% in some studies!) — and with infection comes more inflammation. Hopefully somebody is tracking these men and someday we may see a study showing much higher rates of metastasis in men who have suffered infection caused by prostate biopsy. 545 men were randomized to active monitoring and 553 men to first-line surgery. The numbers of prostate cancer-specific deaths were 8 in the active monitoring group (1.5%) and 5 in the surgery group (0.9%). 348 men were randomized to watchful waiting and 347 men to first-line surgery. The numbers of prostate cancer-specific deaths were 50 in the watchful waiting group (14.9%) and 30 in the surgery group (9.6%). Why the difference in survival? In ProtecT trial 100% of cancers were detected by PSA screening, while in SPCG-4 trial only 5% were detected by PSA screening and almost half of patients had clinical signs and symptoms of prostate cancer. It may be that PSA screening is finding more slow-growing cancers at a very early (microscopic) stage, and that’s why the 10-year survival rate for monitoring on these PSA-detected cancers is better than in SPCG-4. Exactly. And for the same reason (as we see from ProtecT and SPCG-4 trials) surgery for screen-detected prostate cancer results in significantly better cancer-specific survival then surgery for clinically diagnosed PC. And that is what screening is needed for. Well that’s where I disagree with you. The longer survival may just be an indication that you’ve found these cancers earlier and since they grow slowly, it’s no surprise that you’d live longer after the diagnosis. ProtecT shows that almost everyone survives 10 years regardless of what treatment they do or don’t receive. Valeriy says: “In ProtecT trial 100% of cancers were detected by PSA screening” — very untrue — PSA screening does not “detect” cancer — its only a possible indicator of cancer. The Protect Trial participants were drawn from a population of 82,000 men who were initially screened with PSA and that screening prompted their diagnosis. The men who ended up in the study were found by biopsy to have clinically evident cancer. These were men with clinically evident cancers — not “more slow-growing cancers at a very early (microscopic) stage” — on the other hand SPCG-4 was a much older trial where cancer was found, as it used to be found before widespread PSA screening, in a clinical setting where most of the men showed up with actual symptoms, had palpable tumors upon DRE, and much later stage PC. In any event, Valeriy seems to be trying to use these trials as an argument in favor of screening — but while they do contribute to the knowledge base of whether and how prostate cancer should be treated, they add nothing to the discussion of the merits of widespread PSA screening. To Valeriy: You can’t just compare two different trials and attempt to extrapolate a screening benefit. For example why not compare the PIVOT trial with Protect? That trial also used PSA screened participants and PC death rates were significantly different than Protect.? You are comparing apples to oranges. Death rates are highly dependent upon the initial disease status of men in the study. Ed Dwulet – With all respects, but your “very untrue — PSA screening does not “detect” cancer” sounds like faultfinding. “Screen-detected” is standard and universally accepted term meaning that cancer is detected as a result of screening—e.g., breast cancer by mammography, cervical cancer by Pap smears and prostate cancer by PSA, and then confirmed by a clinical test, e.g., biopsy. And that’s what I have meant. Second, I compared the results of 2 big trials with and without PSA screening. Why “they add nothing to the discussion of the merits of widespread PSA screening”? The trials were intended to look at treatment vs no treatment. All of the men in both of these studies had cancer. You are comparing death rates of two different groups, one that obviously had a much greater burden of disease (just compare the death rates of the two groups in each study who weren’t treated). Kevin was essential correct (I just took issue with his use of “microscopic”). To evaluate the effectiveness of PSA testing as a screen you need to study a uniform population of men (who may or MAY NOT have cancer – that’s a KEY point!) who are subjected to screening vs no screening. But the controlled variable in each trial was not PSA screening/no PSA screening. One of the fundamental concepts in experimental science is the controlled experiment. In this the experimenter tries to control one input variable (and observe the effect) while holding all other input variables the same. The randomised controlled trial is a type of controlled experiment where the effect of all the other variables is attempted to be minimised by setting up two or more randomly created groups and then just varying the controlled input variable between the groups. This is what was attempted with PLCO and the various ERSPC trials (the desired controlled variable being PSA screening/no PSA screening). I had a PSA reading of 7.4. up from 4.1 in one year, and I had a biopsy done that revealed prostate cancer, with a Gleason score of 8. I had no other symptoms and at 70 years of age had I gone into a “monitoring mode” as some recommended, my cancer could have spread beyond the prostate and become life threatening. I opted for surgery at The Mayo Clinic and 16 months later my PSA is 0. During my trips back to Mayo for follow up tests, I have met and talked with many men, some in their 40s, who are undergoing extraordinary steps to control their cancer which has spread into other tissues and the bone and I keep asking myself what doctor would wish this fate on a patient when early detection with a PSA test and a biopsy, which I found to be routine and pain free, can spare a patient years of treatment and maybe even save his life. Your cancer may have already spread beyond the prostate and be life threatening. Your cancer was most likely not life threatening if you had left it alone. There are so many possibilities and probabilities that you have not considered. Also, 16 months doesn’t mean much in the progress of prostate cancer. A net saving of lives by PSA screening has never been demonstrated. Secondly — we are talking about the overall harms of PSA screening outweighing the benefits: Here are the details on PSA screening from the large ProtecT Trial that you can find anywhere on the net: About 82,000 men were enrolled, 8,000 men had high PSA levels and underwent prostate biopsy. From those almost 3,000 men were diagnosed with prostate cancer. The first harm of PSA screening: 5000 men had a false positive and needlessly underwent a biopsy! You can read the two medical reports I link below about the direct harms of prostate biopsy. One is a study that found a 6.8% rate of infection and hospitalization within 120 days of men receiving a biopsy. The other is a study that found a 1.3 per 1000 DEATH rate within 120 days in men whose biopsy found no cancer — and a 3.5 per 1000 DEATH rate within 120 days in men whose biopsy found cancer. Meaning — that of the 8000 men who were biopsied for this study about 500 ended up in the hospital with infections and about 17 men ended up DYING from their biopsies before the study even got underway! That’s a lot of harm. BTW the study found no benefit to being treated with surgery — so those 3000 men had to endure the harms of the side effects of surgery (including possible death on the operating table) for no reason at all. And some of them — like in the case study I linked above — will likely end up with metastatic pc anyway. What a mess! PSA screening is likely KILLING more men than it is saving! But thanks to people like you and Ben Stiller, along with our unethical for-profit medical system, this PSA screening fiasco will probably continue on indefinitely. The interesting thing is that urologists usually have an arbitrary cut-off period such as 120 days for deciding whether a patient death had anything to do with their treatment – beyond that period, a patient death is assumed to have nothing to do with treatment. However, if it takes many years for the statistics to show a small absolute reduction in prostate cancer specific death rate then that is deemed to be a success. There is one rule for success and a different rule for failure. This is why Dr. Vinay Prasad says the only valid measure of success is overall survival. That 3.5 per 1000 is just from biopsy — not from treatment — but we can also add those early treatment related deaths (whatever they are — and they are probably under-reported and often lost in the medical mistakes and errors stats) to the life saving deficit that screening has to overcome right off the bat. Additionally — cause of death statistics are notoriously inaccurate and often just a best guess with no penalty for error– I’d bet that chances are that men who later end up dying of metastasis as a result of pc surgery are more likely than not to have their cause of death be listed as a “new” cancer at the metastatic site (i.e. “lung cancer” for the guy in the first link I sent Jerald). We just don’t know how often that happens either. It could even be the reason that pc death rates have declined. The “system” (Oncologist Matt) wants to attribute the decline to screening and treatments — but the reason “There is one rule for success and a different rule for failure” is that this “system” will always be biased towards whatever generates the most profits. Just another point in favor of overall survival being the only thing that should really matter. 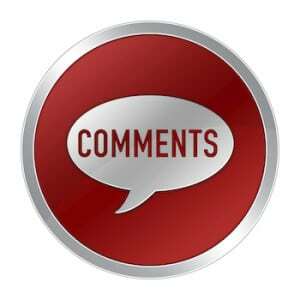 While we appreciate the discussion and interest in this topic, this comments thread has become repetitive and focuses on issues that are outside the scope of our mission at HealthNewsReview.org. Our comments policy states: “Comments should primarily discuss the quality (or lack thereof) in journalism or other media messages about health and medicine. This is not intended to be a forum for definitive discussions about medicine or science.” We’ll be closing this thread to comments that focus on the science of prostate cancer screening and which don’t break any new ground in this discussion. Thank you.